We know the word philosophy was coined by Pythagoras in pre-Socratic days in Greece. Philo=Love and Sophia=Wisdom. But the idea of philosophy is extremely ancient and has been referred to with other words and conceptions in various cultures throughout human history . What all these ancient conceptions have in common is the notion that the human mind has immense hidden power and vast untapped potentiality. And this, according to ancient philosophers is due to the connection the human mind has to the Whole, Oversoul, or the Divine, however conceived. Modern philosophy in its normal academic setting has often crippled the notion of philosophy and relegated it to mere logic and semantics. In modern times it has lost the luster of its arcane roots. In ancient Greece for example, man is the “microcosm of the macrocosm”. There is nothing in contemporary thought that approaches this Olympian vantage point and therefore the depth and breadth of the mind are significantly “crimped, cabined and confined” as Shakespeare says in Macbeth. Many philosophy courses in college or high school take a tour through a laundry list of significant thinkers usually in the western tradition. Descartes, Hegel, Hobbes, Locke, Kant, Nietzsche, and sometimes ancients like Plato and Aristotle usually get touched upon in these classes just to name a few. It is good training to try to understand these thinkers but the main point is missed. What are the enduring questions? Why are they important to YOU? Once you have raised the big questions: Who am I? What does it mean to be human? What is justice? What is real? What is my role in life? What is life for? What happens after death? etc. it might then interest you to find out what other people think as well. But until these are burning questions for you academic philosophy will remain nothing more than intellectual gymnastics and the point will be missed. Philosophy is not about a survey of what other people think, it is an investigation into what is true and important to you. In the end you must make choices as to HOW you are going to live. There are many fundamental differences between ancient philosophy and it’s modern shadow. Consider this, according to Buddhist thought the difference between an enlightened human being and a normal person is equivalent to the difference between a normal person and a black beetle. 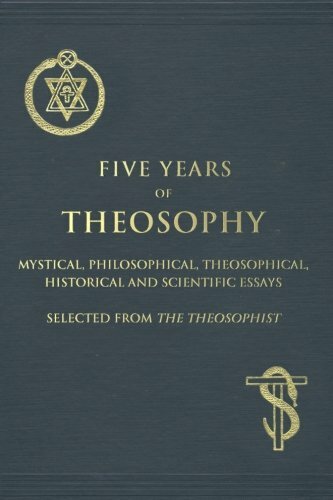 Plato speaks of an elaborate fifty year educational process necessary in developing a “Philosopher Kings” worthy of advising society from the standpoint of universal principles, seeing where justice lies and interpreting the Good. What is overlooked and often misunderstood is that the very notion of wisdom in the ancient world (the Greeks for example, and certainly in the minds of great souls like Plato, Plotinus and Pythagoras) means far, far more than the quaint conventional idea of wisdom found in contemporary times. For us the word “wisdom” in common usage has to do with truisms and perhaps axioms that help us navigate through life more gracefully. An idea like Franklin’s, “a penny saved is a penny earned” is usually considered an article of wisdom. But for the ancients of Greece, Egypt, Mesopotamia, India and China, and many indigenous peoples of the world like the Hopi and Navaho in North America or the Australian Aboriginals, wisdom has a much more profound meaning. It represents the liberated mind, the enlightened mind or direct spiritual perception, “the ability to see into the hidden source and pattern of things, to witness spiritual ‘Noumena’ ”. In other words wisdom was measured in degrees of enlightenment. Wisdom is not something you have it is something you become. In most ancient cultures, and sorely missing in our modern one, people revered wise men, sages and seers because they understood how life works and what life is about in a more profound way than the average person. Another limiting factor that ancient philosophers like the Buddha, Krishna or Lao Tzu addressed is the illusion that what is real is what can be experienced through the five senses. All that seems real to us is what we can see, hear, touch, smell or taste. But we know the senses are severely limited in their perceptive powers. We know that the human eye can only recognize a very small band of the electro-magnetic scale. An eagle can see distances more acutely than the human eye. A dog’s sense of smell is much stronger than ours. And with instruments like a telescope or a microscope we can extend the range of human sight. So it is clear that the five senses have their perceptive limits. Hence the limitation of the senses also create a prison cell of perception of sorts. According to the ancients, the mind works like a laser when focused in particular ways, enabling broad ranging perceptive power. But for most people the mind is like a monkey jumping from branch to branch, attraction to attraction, desire to desire, like to like, and rarely stays focused for any length of time. If a person is able to simply observe the activity of their mind for just five minutes one would discover how inconstant the mind is and how it resists focus. This is precisely why calming the mind and bringing it into focus is a first prerequisite of philosophy and contemplation in the ancient traditions. Practices to remedy this condition can be found in Platonic thought, Vedic teachings, Patanjali and Buddhist philosophy for example. They can be found in the mystical traditions of Christianity, Islam and Judaism as well. Thirdly our depth of perception is also severely limited due to our range of sympathies. A Christian would say the depth of our love, a Buddhist would say compassion perhaps. If I fiercely identify with my ethnic group, country, family or my community it has an effect on what one would think and care about. Additionally if I fiercely identify with a group of personality traits, favored activities, likes and dislikes this also determines the range and reach of one’s perceptions and sympathies. The aim of philosophy is to grasp the whole and to transcend the parts, no small task.